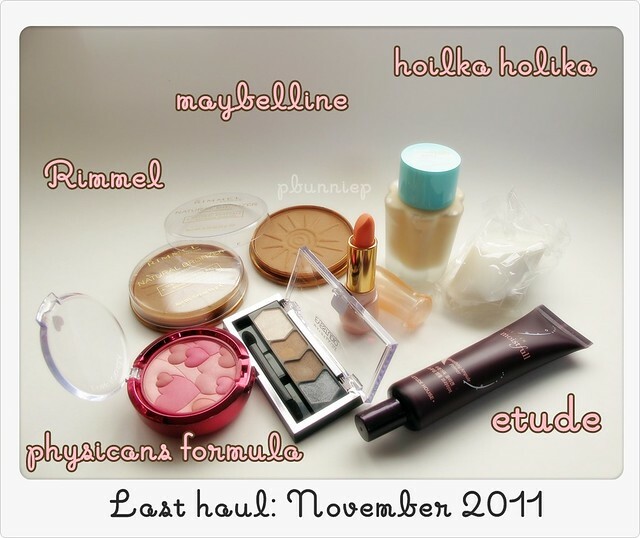 TheBunnieHole | Vancouver Youtuber & Blogger: Haul: Holika Holika, Etude & makeup ban! 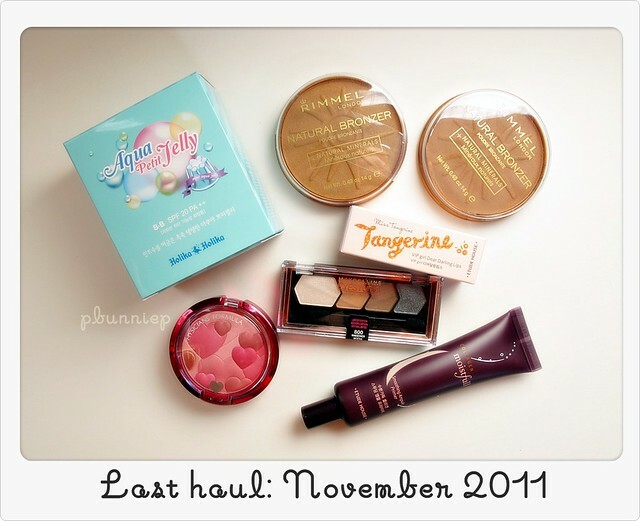 Haul: Holika Holika, Etude & makeup ban! 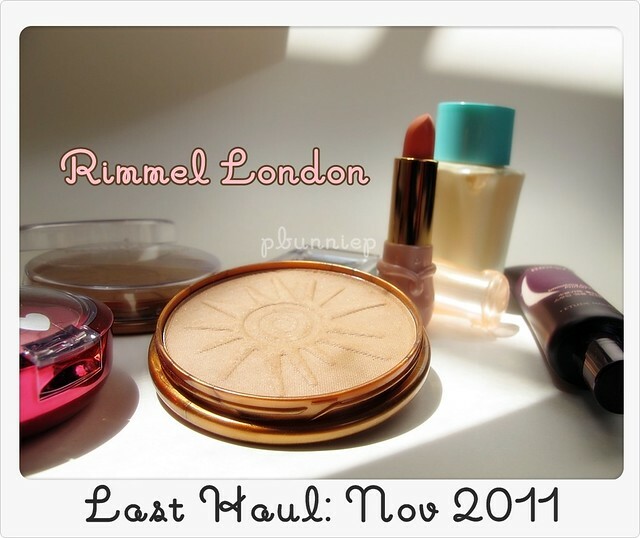 This will be my last makeup haul. Well no, just for 6 months but that already sounds like forever for a product junkie like me. As I'll explain further in today's video, I'm approaching a threshold in which I have too many products and I can't possibly keep track of them all, never mind using them on a regular basis. It's time to clear out and rediscover the gems that I own! But before this horror sets in, I thought I'd share with you my last haulage before the ban takes effect (well actually, by the time you are reading this post, it would have already started). 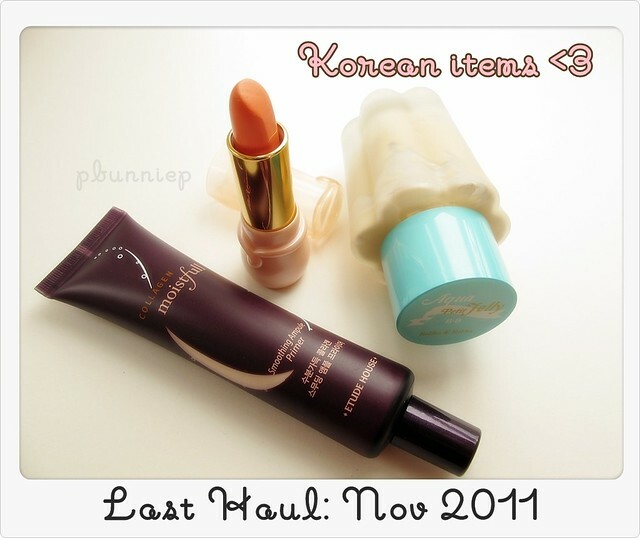 A few Korean items and some drugstore goodies. I present to you, today's fine selection of eye candy. 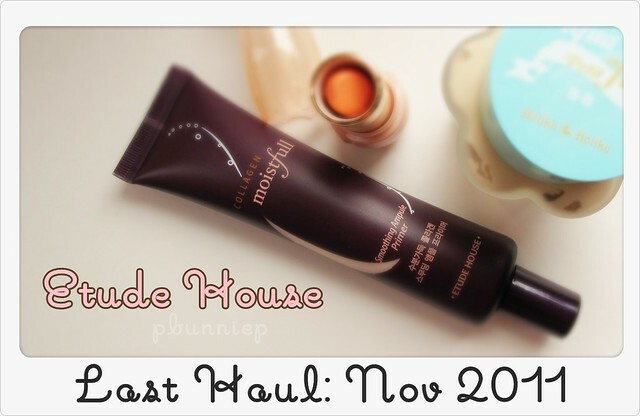 I think this haul is a good balance of everything and while this may look more like a summer haul to you, the key items that make this a winter them is the Etude House foundation primer and the Limited Edition Maybelline eyestudio quad...I'm super anxious to try them out! Oh and did I mention I have a special treat for you guys today? Ah... yes, my first makeup-less video in a long time. Heard this is number #1 selling drugstore bronzer (though the ad didn't mention the details of this statistic), either way if it turns out to be good that would be fabulous since it's very affordable. Too bad this photo doesn't quite how off the beautiful shimmery metallic sheen of the dark graphite shade. 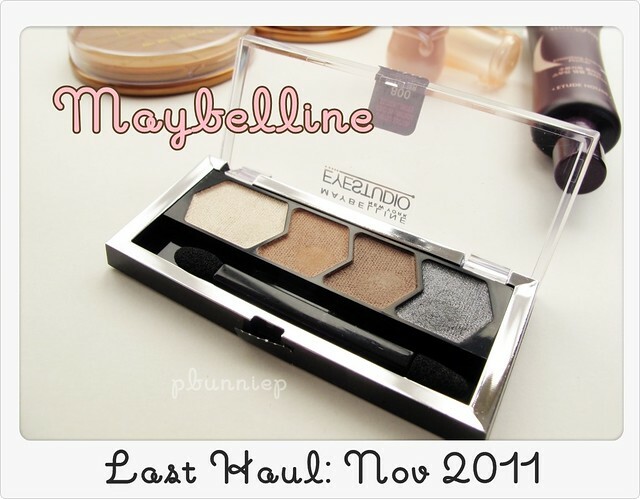 This quad actually looks very similar to my favourite Daiso pearl shadow palette but I would say that the texture is different and the two browns in the middle are more of a satin finish instead. Overall a stunner for all seasons. Who can resist the cuteness that is this blusher?!?! I haven't even swatched this yet because I didn't want to touch the pristine pattern. Mood boosting? Looking at this photo makes me happier already! I had a budget to keep for this Korean haul so it was really hard for me to choose what I was going to get but I am thrilled with the look of everything that I picked out. Have never been much of a primer addict but moisture and winter goes hand in hand so perhaps this will become a useful product come the next few months. I've tried small samples of the skincare from the Collagen Moistfull line and loved the smell and feel of them but this (upon first application) actually feels drier...a thicker consistency and ever so slightly silicone-ish...Hmmmmm. Doesn't looking at this lipstick just make you feel warm and happy all over? Just because we are heading into fall doesn't mean we have to put away all the fall colours. In fact, shades of oranges like rust and terracotta are always in style for fall. 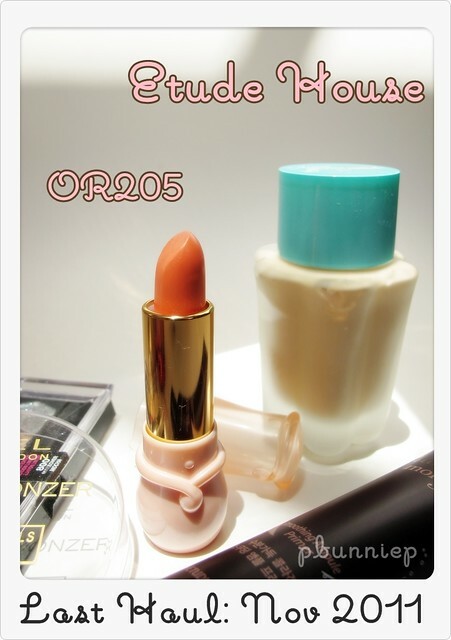 I think I'm going to mix this gorgeous lippie with my warm brown clothing pieces. This is my first Holika Holika item and I have high hopes! I was lucky enough to find the ingredients for this product before I purchased it and it looks good on paper. Having swatched it on my hand the jelly texture absorbed quickly and didn't feel at all tacky or too wet on the skin. 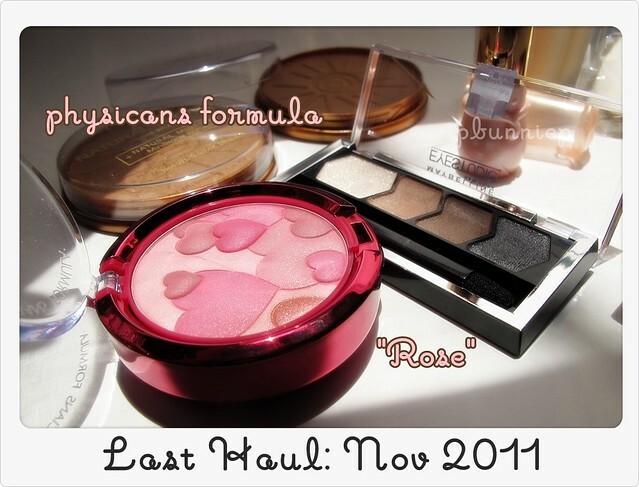 I'll see you in tomorrows post!